Magazine publisher Condé Nast is branching out into the training business launching an upmarket fashion and design college in London. The Condé Nast College of Fashion and Design will welcome students to their first Diploma course in October 2013. The college is currently advertising two courses, a ten-week course called the Vogue Fashion Certificate and a year-long course called the Vogue Fashion Foundation Diploma. The college says it may widen the course options in future, including an interior decorating involving House & Garden, as well as MA options. The Diploma course will spend the first term teaching students about the wider fashion industry from covering technical aspects such as photography, to the details of the beauty industry and retail business models. Students will then choose what career path they want to pursue and will be taught about the specifics of that area. There are options in PR, fashion journalism, advertising, photography and retail. No previous fashion qualifications or employment are required, but applicants must submit a portfolio of relevant work. Condé Nast will offer work experience placements at their publications to “a select handful of the College's most gifted students”. The college will also use Condé Nast’s “multi-discipline experts, giving students a unique insight into how the component parts of the magazine business really work". The Vogue Fashion Foundation Diploma costs £23,472 (including VAT). The courses are not tax exempt because Condé Nast is not classified as an eligible body under the Education Act because they are a commercial education provider. The courses are accredited by the Open College Network, with the Vogue Fashion Certificate giving students a Level 4 Certificate in Fashion. 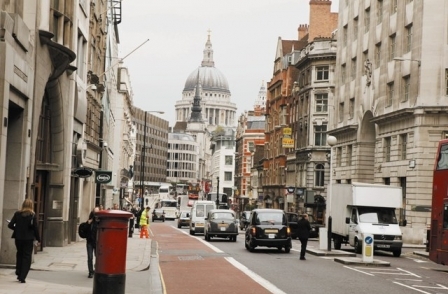 Based on Greek Street in Soho, London, the college is walking distance from the Condé Nast headquarters in Hanover Square. The building, which used to house a gallery, are being renovated to create an in-house gallery space for students. Condé Nast UK managing director Nicholas Coleridge said: “Condé Nast is perfectly placed to enter the world of education. 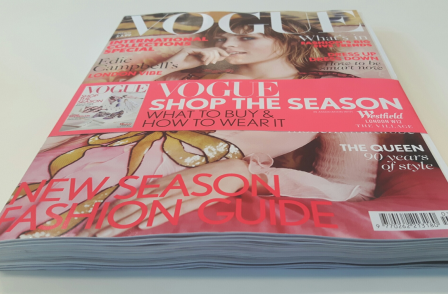 Conde Nast publishes magazine titles including Vogue, Tatler and GQ.